Brett Curtis, President and CEO of YWAM Ships Kona, and Karen Curtis recently took a group of supporters to the Autonomous Region of Bougainville to showcase our activities to those who would want to invest in our mission and to inspire and cast vision for those who would want to be involved in future plans. “It is beyond beautiful here, so remote and untouched, but so is the healthcare system. The plight of these amazing resilient people is very confronting. They never recovered and develop after their civil war and they lost over 10% of their population during that time. The group met up with some of the local leaders, a Bible translator missionary and a Princess, the daughter of a Chief, to discuss how YWAM Ships Kona would be able to bring help to their region. Part of the Welcoming Ceremony for our group. 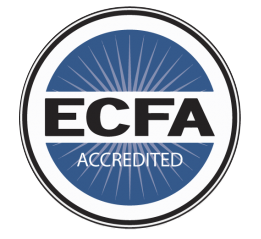 Translating the Bible takes years and upon completion, a great celebration takes place. The leader from the Atoll of the Mortlocks, finally achieved this historic milestone. He and his family have sacrificed so much to live among the people and these Bibles represent his life’s work. 300 copies have been printed in recent months and he is now trying to get back to this island, off the coast of Bougainville, to present the Bible. He’s desperate to get back and bring God’s truth to another island but has been stuck waiting for a vessel for six months. He also shared how high school kids in Papua New Guinea have to pass a test after they complete their second year in school before they can graduate. They’ve been unable to take this important year end test for five years now. No test administrator has been able to officiate the exams because of the remoteness of the island. Even on a smooth day with a fast banana boat, the travel time would still be 8 hours and the vessel would need to carry enough fuel to make a round trip. There is no gas on the island, which makes it a rare day for anyone to try it. When someone does go, it is very expensive and unsafe. 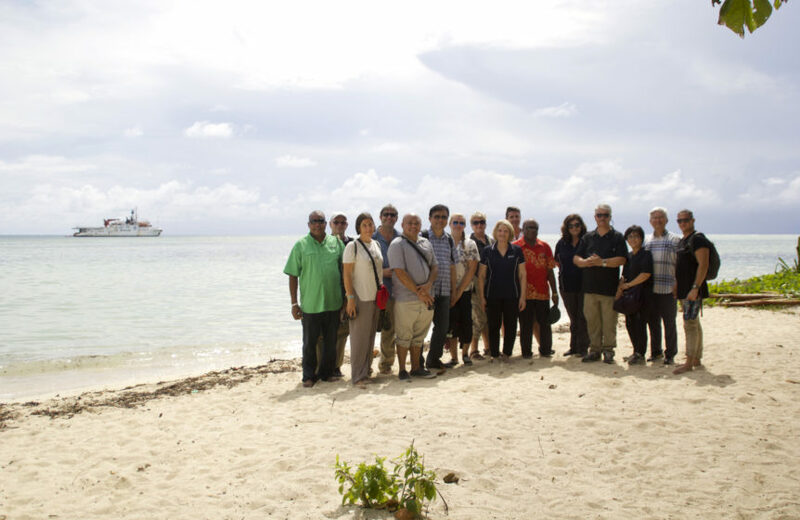 The group also met with Princess Ursula Rakova, who lives on the Atoll of Caterets. She has been given the responsibility by the government, to relocate 140 families, about 2/3 of the population, onto the mainland of Bougainville because of overcrowding. Princess Ursula explained that her island is now only four feet above sea level and is slowly sinking. Every year from November to March, King tides occur, and completely wash over the land with salt water, making it virtually impossible to grow anything. The families are now growing things on raised garden beds, which is barely enough to sustain life for so many on the small islands. The Catholic church on the mainland has gifted them with land to own, which is fertile and good for harvest. They are trying to get a few families to come over, create a garden so they can sustain themselves, and build a small house before they go back over and bring the rest of their families with them. With needing assistance in relocating, YWAM Ships Kona is working out how they’ll be able to help them. Sir Rabbie (green shirt) and President Momis (orange shirt) surrounded by Brett and Karen Curtis and the rest of the supporters. 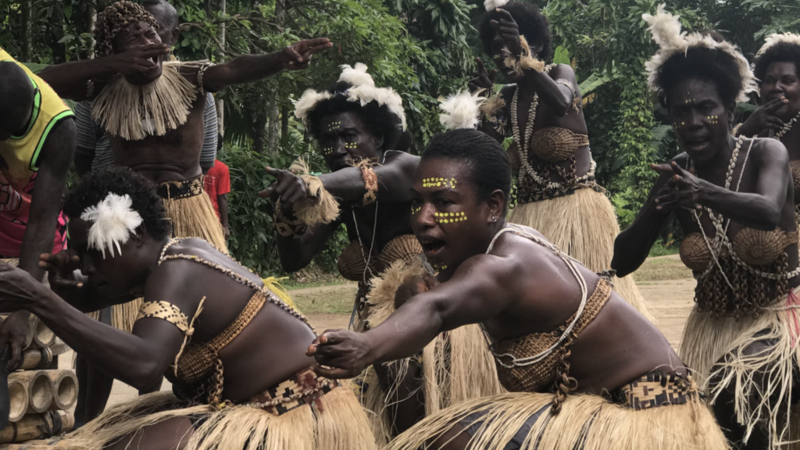 Sir Rabbie Namaliu, YWAM Ships Kona’s Patron and Former Prime Minister of Papua New Guinea, and Brett Curtis, hosted a state dinner bringing President Momis, the Minister of Health, and other dignitaries an update of the last five months of work in the region. 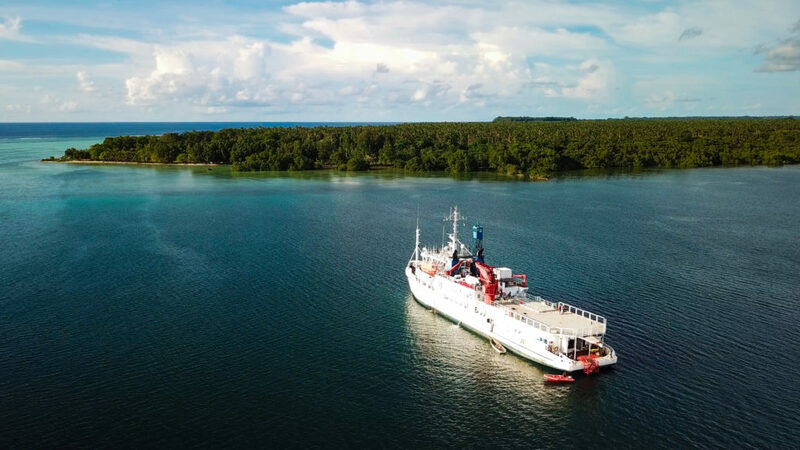 With seeing the needs of this isolated community in the Autonomous Region of Bougainville, it was a great reminder of what we can do together with our volunteer crew and our vessel, the m/v YWAM Liberty. To make a donation, click this link! Check out this link to see how you can get involved.